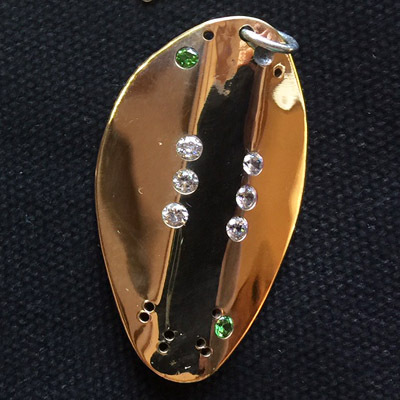 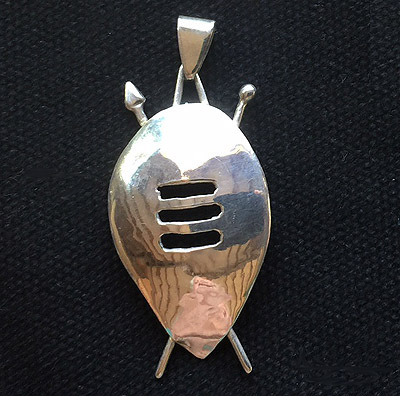 A lovely perfect miniature African warrior/dancer shield in sterling 935 silver and gold. 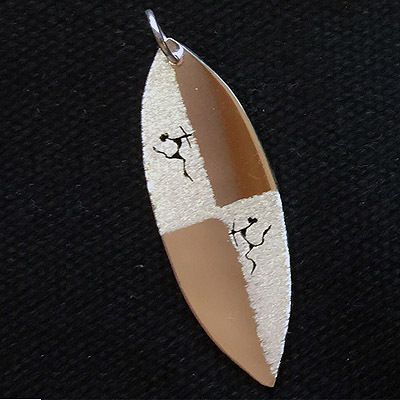 Total size is approx 2″ x 0.75″ (5x 2.cm). 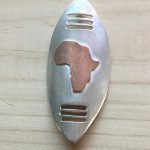 Each pendant is made from Argentium 935 sterling silver featuring one of our own special designs based on African ceremonial dance shields. 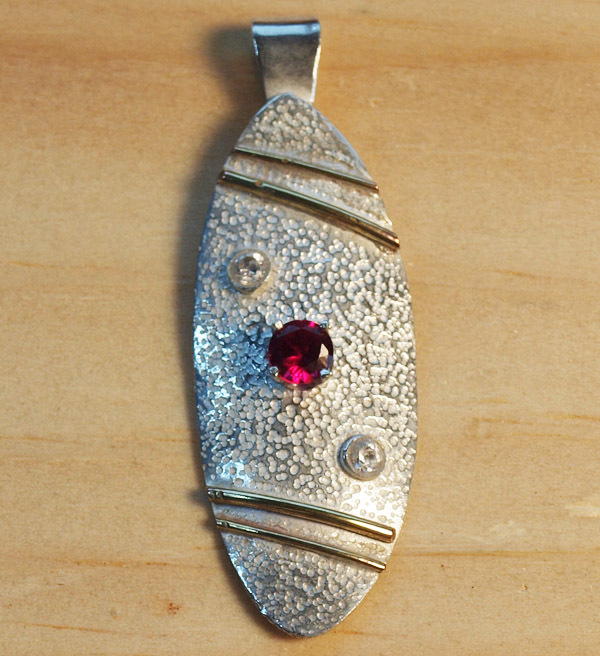 This one features a special texture, 4mm ruby and two small 2mm diamonds with sold 14KY gold accent stripes.